SINGAPORE - At least three Housing Board flats broke the $1 million mark so far this year, hitting some of the highest prices on record even amid a resale market that has seen steadily declining prices. While certain classes of public housing – like executive apartments, those built under the Design, Build and Sell Scheme (DBSS) and flats at the Pinnacle@Duxton – have regularly fetched high prices, none of the trio of million-dollar five-room flats fell into such categories . Data from real estate agency PropNex shows that flats two of the units are at Block 50, Commonwealth Drive. The flats sold for $1.035m in October and $1.028m in August. The third, a 36th floor unit at Block 18D, Holland Drive fetched $1.03m in July. All three are regular HDB flats. The buyers of the Holland Village flat are a young couple in their 20s, purchasing a home for the first time. This is atypical as buyers willing to splurge such amounts on resale flats are usually older, second-timer HDB buyers who may not be able to secure Build-to-Order flats. PropNex real estate agent Michelle Chia, who handled the sale, said the couple were drawn by the “million-dollar view” of the surrounding landed properties, as well as the easy access to amenities. They include the close proximity to food options and the Holland Village MRT station. The recent transactions were recorded even as figures show a steady decline of HDB’s resale price index since 2016. According to HDB data, the latest quarter this year saw the steepest drop since the start of 2015. 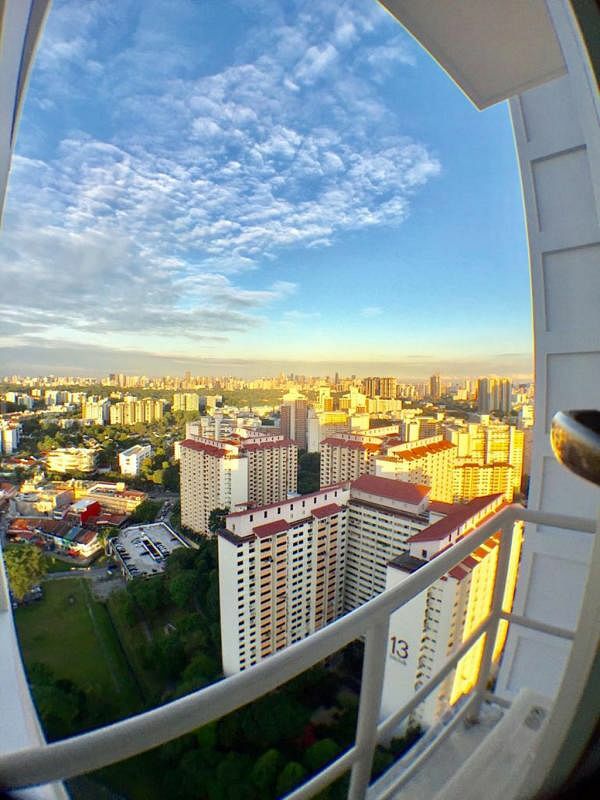 And though there have been a number of eye-opening transactions in recent years, real estate experts warn that HDB flats that sell above $900,000 today are still considered exceptional. ZACD Group executive director Nicholas Mak stressed that such cases “outliers and not the norm”. “Right now, the HDB resale market is still cautious, and buyers are still a bit spoilt for choice, especially for first-timers who can turn to the high amount of subsidies,” he said. Other recent record-breakers have tended to come from rare or unique classes of public housing. In February, a penthouse Design, Build and Sell Scheme (DBSS) unit at Bishan’s Natura Loft shattered records when it went for $1.18m. While DBSS flats are considered public housing, they are developed and sold by private developers, not by HDB. A Pinnacle @ Duxton HDB flat that sold for $1.12m broke the HDB resale record in 2016. The Pinnacle@Duxton unit was $981 psf and Natura Loft’s sold at $913 psf.Last year, a five-room resale unit at Clementi Towers made headlines when it went for $1,005,000. Clementi Towers was the first HDB project to be integrated with a mall and a bus interchange. The Commonwealth and Holland Village HDB blocks were built as replacement flats for those displaced under HDB’s Selective En Bloc Redevelopment Scheme (Sers). They do not have Clementi Towers’ integrated amenities. A unit in Block 18C, Holland Drive also traded hands for $975,000 in August, said a PropNex spokesman. “We can expect prices at this block to be around this rate, possibly crossing over the million-dollar mark again, in the near future, as buyers are prepared to pay over $1 million for the unit’s size and their central location,” he added.